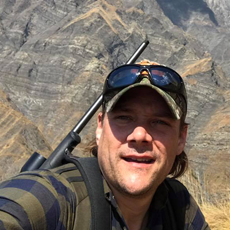 Hauke Bruhn, also known as Max Hunt, is a real outdoorsman who has traveled many continents in the search for new adventures and in search of hunting- and fishing experiences. Hauke lives in Sweden with his beautiful wife and their son Arn, when they are not on the road in their adventure van, searching for new experiences. "My dad lost his right eye when jumping out of a truck and I would never run the same risk on one of my adventures or even at home. 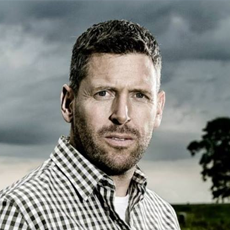 This is the reason why I have chosen to wear Wiley X - the best and safest outdoor eyewear you can have." I'm European huntress at heart, guns lover and a writer. I have been hunting since I was very young and hunting is my big passion. When I was 20, I traveled to USA where my career as a public known hunter started. Since then, I have hunted all around the world and documented my adventures. My favorite place to hunt is Africa where I travel every year. In Africa I together with a lot of other dedicated hunters help to build villages for local people as well as training local rangers how to protect animals from poachers. In my spare time I enjoy fishing as well. Last year I took up pistol shooting and I train hard in order to be good enough to compete in pistol shooting in the future. 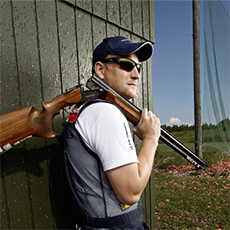 For all my activities – outside as well as inside it is vital to protect my eyes. In the Wiley X products I have found the best quality as well as the highest possible protection. The styles look great and that only adds to the feeling of wearing great eyewear. 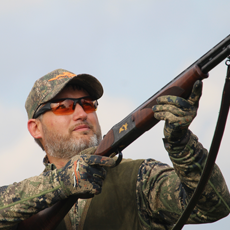 In the different Wiley X styles, I’m always able to find the right color of lens that fits my activity – no matter if I’m hunting, fishing, doing tactical training or I’m just in the great outdoors. I'm a Hunter by heart and love the outdoors. For me, hunting is so much more, than just the size of the trophy. It is the adventure, friendship, the peace, and the ability to improve my skills. All that is in reach of most people regardless of their bank account. I love to help others to reach success in the outdoors and in life as well. I don’t want to be the average guy, I want to manage the opportunities I get through life and make the most of it. I like finding exceptional gear that meets my requirements to improve my experience and my skills. The gear plays an important role in "feeling limitless within my limits" and here I will never compromise - that’s why I use Wiley X.
Jacob Kamman is a hunter at heart and has been brought up with hunting as a natural way of life, since he was a small boy. Jacob travels a lot, to the remote areas of the world to pursue exotic species but the hunt for wild birds, together with his dogs is his favorite kind of hunting.